Two months ago, I lauded to skies a digital revolution that was here whether any of us liked it or not. Now that change has taken hold, I'm for devil's advocacy in film's favor, and so am back to lament the wonderful thing we've lost. What I've had to face over ease into zombie-like digital acceptance is static quality of disc-driven imagery that mirrors passivity I've come to as a viewer. No longer is watching the active engagement of yore, with reel changing, print inspection, finding of prints. Now it's just lay back and let wash those reliably perfect images over a supine me. I never fell asleep over years of viewing 16mm. Now it happens all the time. Has digital left onlookers lazy and disengaged? Here was the wonder of film: It truly lived and breathed. Every print had been places. Even bad prints had integrity. 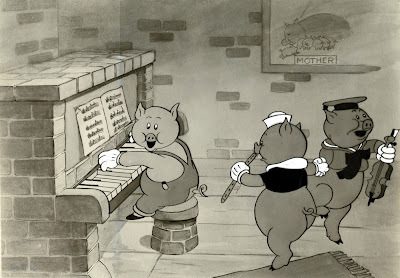 Among treasured relics of mine was The Three Little Pigs in 16mm black-and-white. And what of The Searchers in IB Technicolor with splices come to call at ends of Reels One and Two? I half expect, and perhaps yearn for, those jumps to reassert themselves as Warners' Blu-ray predictably plays flawless before me. 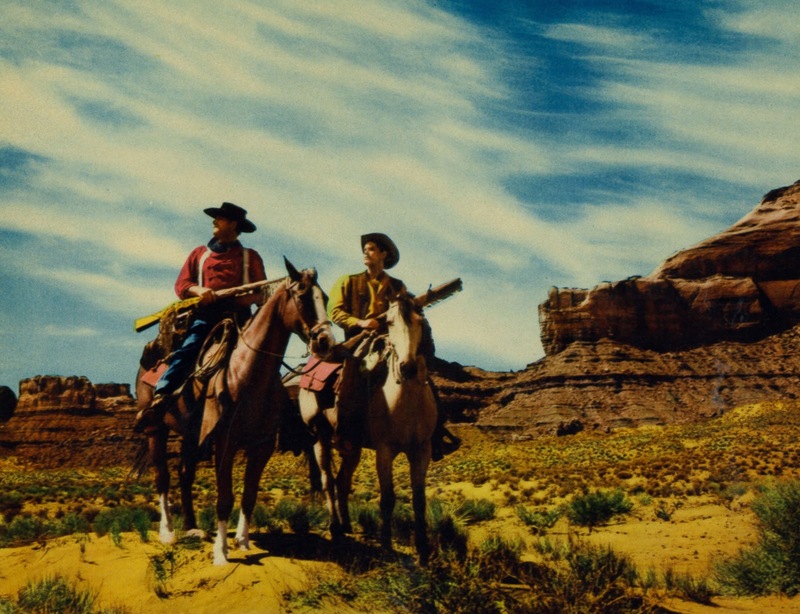 Owning The Searchers thus in 1975 was privilege beyond measure, a thing I ponder upon sight of Wal-Mart virtually giving it away in bargain bins. There's exaggerating afoot as to superiority of digital over alleged rotten prints we used to look at. Recent case to point: Dracula. 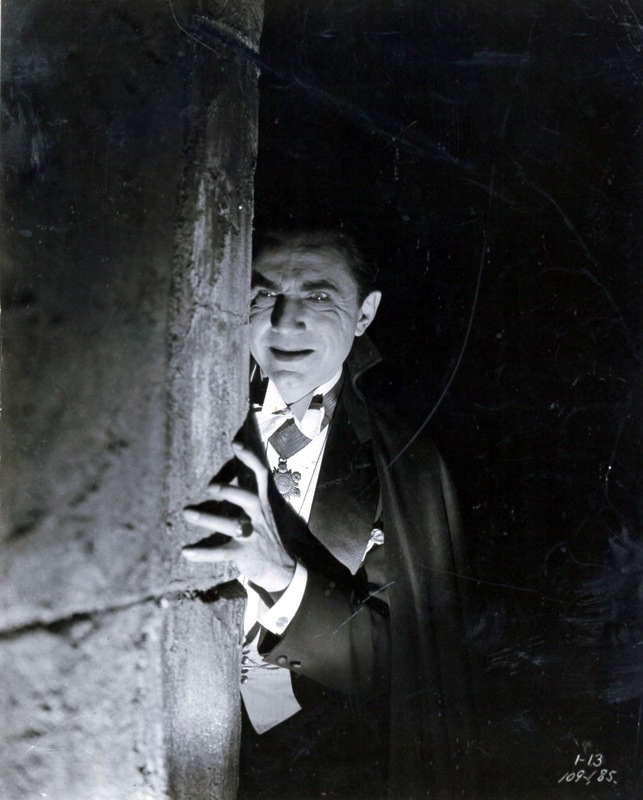 Yes, the Blu-Ray is better, a miracle in fact, but let's not consign Dracula's celluloid ancestry to evermore Coventry. 16mm prints of the 1931 classic could be quite nice. Of three that passed through me, none were so wretched as modern marketers would have us believe all were. I remember in particular how crisp sound tracks registered, quite belying expectation that recording so early must play unclear. Dracula and others progressed in smaller increment from 35 and 16mm to video cassette to laser disc, DVD's improving steadily till admitted quantum leap of HD streaming and then Blu-Ray, but never were earlier formats such unworthy things as to merit scorn heaped upon them in furtherance of selling a newest format. I knew the upgrade fever well, having chased transcendence of a perfect print over years collecting. Was there a Yankee Doodle Dandy with proper gray scale as opposed to flattened contrast preferred by TV broadcasters? Did Blonde Venus exist with the first reel bathing scene MCA took out upon release to syndication? These were such concerns as drove us to double, triple, and beyond dips into 16mm vaultage, eyes alert all the while to rightful owner catch-up to our below-board pursuit. Here was strongest argument to uniqueness of film: The fact you couldn't get it (or at least the best of it) without genuine risk. Collecting was not for the safe and sane. 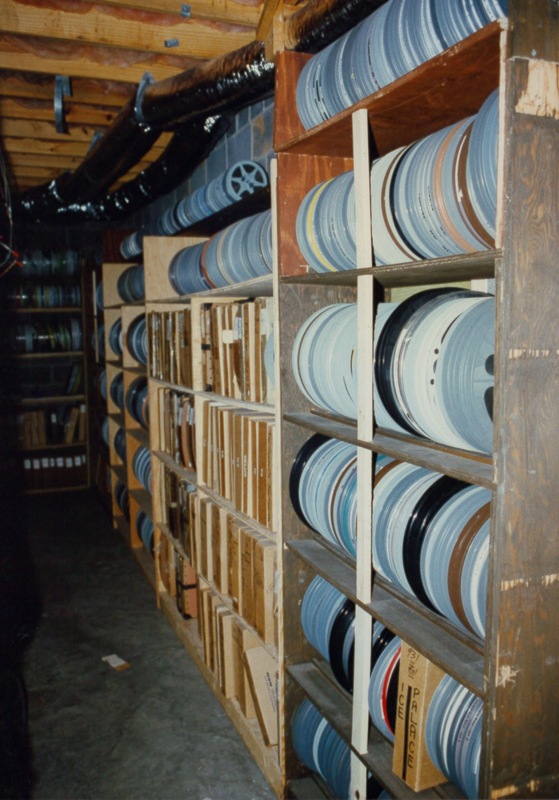 A collector passed away recently who took secrets of film's eternal superiority with him. 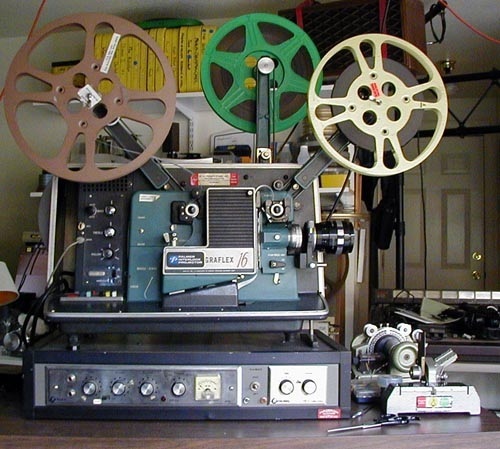 Dave Snyder was decades handling celluloid and knew myriad ways that digital could not compare with it. 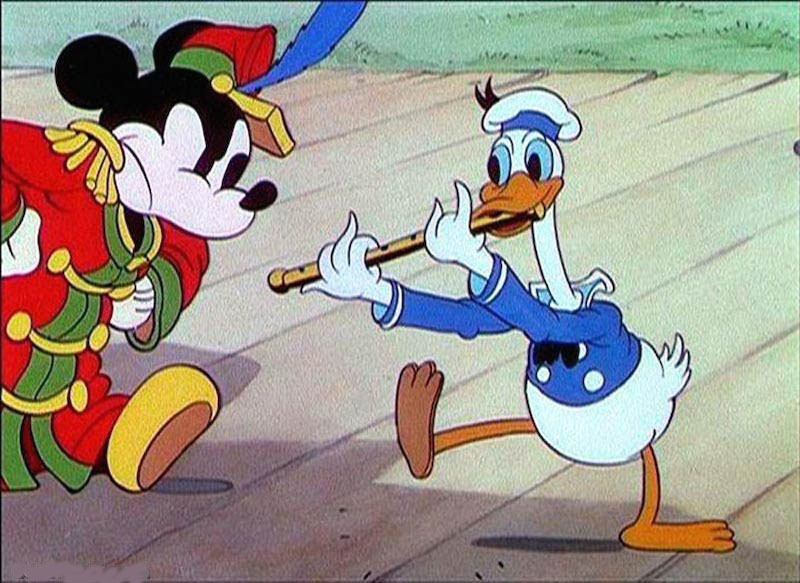 He'd show you a cartoon on 16mm and explain how a DVD of the same subject missed by miles the animator's intent. We accept now what discs give us because owners have locked their version in, whatever revision or "improvement" that amounts to. Classics henceforth will be forever defined by whatever DVD or Blu-Ray circulates ... you take what they offer or leave that movie alone. 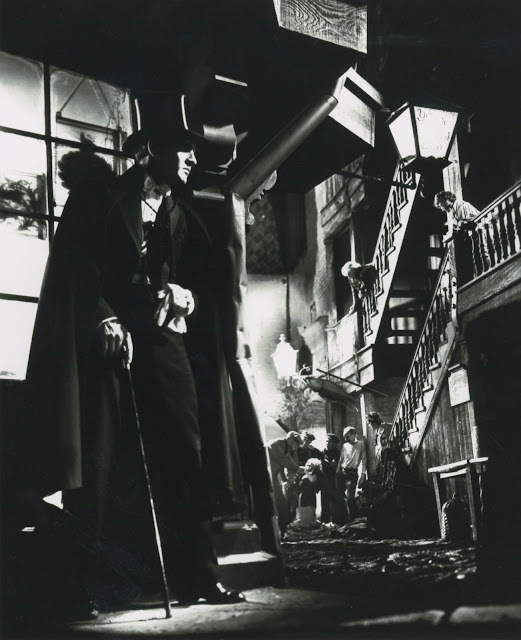 I know a collector, or rather an at-home archivist and preservationist, who gathered three different prints of the 1931 Dr. Jekyll and Mr. Hyde and assembled from these a final cut with total footage beyond what Warner sells on DVD. Each print had a history and story of its own --- combining the three was alchemy none of us disc dopes could approach, whatever pyramids we build in the name of home theatre. There was another basement dweller, I'll just say he's a genius and leave it there, who cleaned out a long abandoned rental library and brought home what proved to be the only extant print of a short Babe Hardy appeared in back in the teens. This 16mm wasn't just alive ... it vibrated for being a last one left. My collector friend spent, by his reckoning, eighteen hours over an edit table to repair every splice and nicked sprocket there was over four hundred feet of this unique reel. His pride upon showing the outcome to guests can be imagined. Suffice to say, no DVD could leave so deep an impression upon him or us. No two prints of film are alike. Stack up a dozen Duck Soups and they all will differ. Each had characteristic others lacked. 35/16mm film, like human beings, have fingerprints. If one I owned forty years ago came back in my hands, I'd know it right off. It occurs to me that this paragraph, nay the whole post so far, traffics in past tense to describe film, a reason why being grim recognition that most prints, 16 and 35mm, have likely been junked by now. Movement was apace in that direction even in last 90's days of my own collecting, and I suspect the mission is fairly well complete by now. All that's left at ramparts is noble remnant of celluloid rescuers who saved what would otherwise be lost and hold forth yet at screenings where what you'll see is never what digital has dulled your mind to expect. 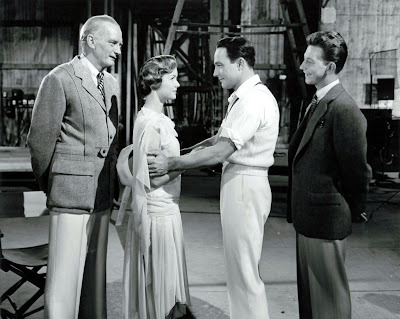 I'll exalt the beauty of a Singin' In The Rain on brilliant Blu-Ray, but not remember the experience half so long as when a member of celluloid's vanishing fraternity unspools the print he's nurtured over most of a lifetime. That's the viewer experience that lasts forever. Now I'm going to lose sleep over what I'm missing in "Jeckyll and Hyde,"
My mouth watered at the sight of some of those prints on the shelf in that snapshot under the picture of Mickey and Donald: The Gang's All Here, Adventures of Don Juan, Shane, Meet Me in St. Louis. All are well-represented on DVD/BR (Shane, I think, somewhat less so than the others), but the tactility of film, as you say, is something else. And I find the only DVD available of Duel in the Sun entirely unsatisfactory; is that print on the shelf an IB Tech? If so, and if it's really been junked, I just may cry. Jim, that snapshot represents my 16 and 35mm collection in April, 1977. The "Shane" was IB, but had some TV use. Duel In The Sun was reddish, unfortunately, but in the whole of my collector days, I only came across one IB. 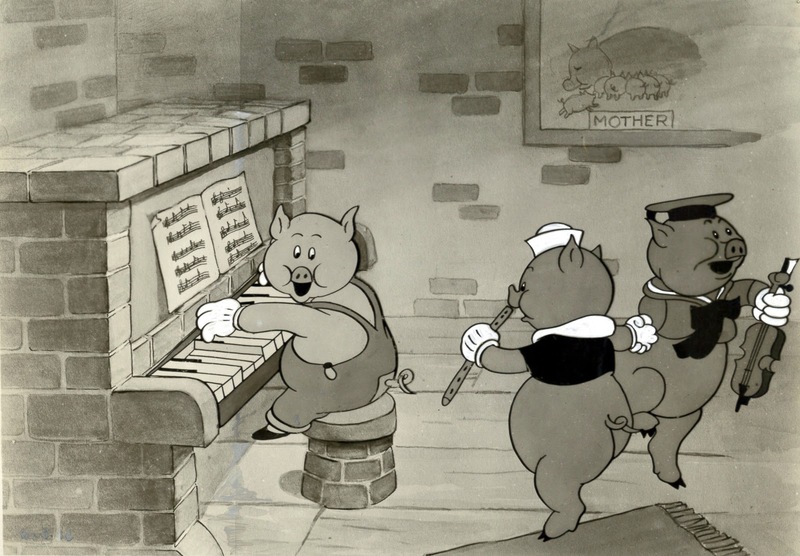 And yes, it's the same Dave Snyder who did those wonderful Saturday morning animation shows at Columbus. One of the real authorities on film as film. His programming expertise will be missed. My feelings overrall coincide with yours, Anonymous, as is reflected in my first post on digital vs. film two months back, but I didn't want to leave this topic without speaking to the very real loss we face for abandoning film, thus yesterday's follow-up and nod to an opposing argument. This is an excellent post, John. I can only lament of the times I had when I first saw prints shown at the new Greenbriar; how beautiful they looked, the idea that that what I held in my hands was a hell of a lot older than I was. I consider myself lucky to have lived long enough to witness, firsthand, the aesthetics, the wonder of 35mm and 16mm and will continue to do so as long as there are theaters that keep the format alive. I pray that after a decade (or probably much longer), a resurgence will occur akin to the music industry. Currently, the only music medium to actually increase in venue is--vinyl! There are obviously folks out there who care about their entertainment and just how its presented--how it looks and/or sounds. I hope we'll see the same rekindled love for "film". I, for one, will be a champion for film over digital (I say proudly even as my blu ray collection remains a proud staple centerpiece in my home). In the interim, thank you for educating folks like I for the wonders of film. Whatever happens, we'll still press on attempting to preserve a heritage for as long as we can. As a fellow (mostly former) film collector, I enjoyed this piece and the photos. 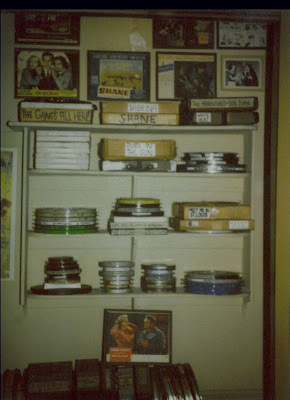 The aesthetic pleasures of film always evaded my wife, for whom the preferability of DVDs came down to one simple thing: DVDs take up so much less room than all those reels of film. 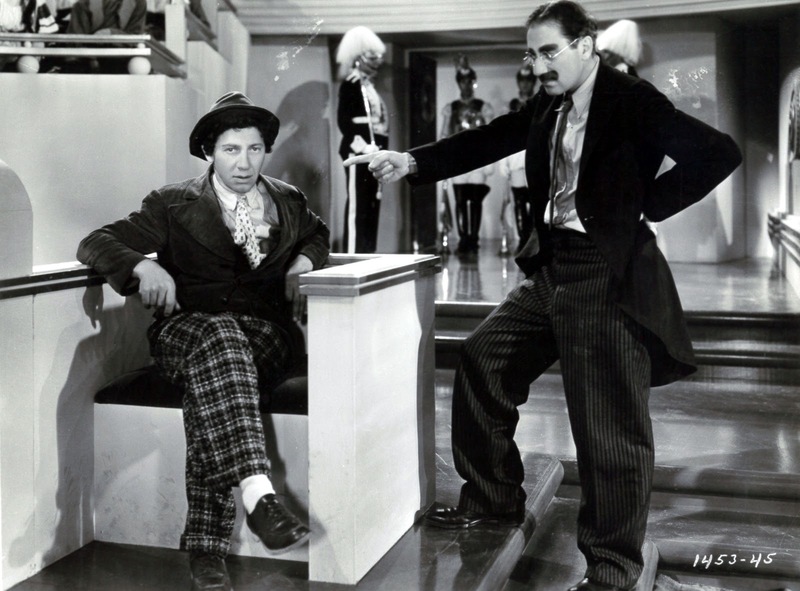 The 16mm prints of ANIMAL CRACKERS and COCOANUTS with the Marx Brothers which I rented from Universal 16 were superior to what we now have on dvd. Wonder what happened to the masters they were from. 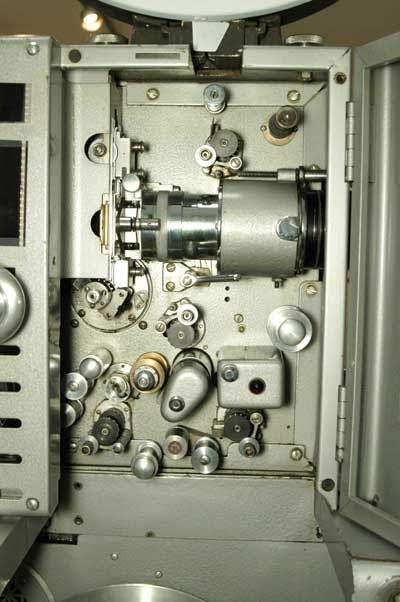 One thing about film (and older technologies in general): If a film broke or jammed, you had a fighting chance to splice it back together. No picture simply meant replace the bulb. Something goes wrong with DVD: Uh, take it back and exchange it? The color on the digital WIZARD OF OZ is very cold. It's not Technicolor. Like your earlier article where you discussed the virtues of digital over film, your latest is well written and something I can totally relate to. No longer will I be looking out for 16mm prints of just about anything that is available on disc. Don't get me wrong, watching a Blu-ray on a television doesn't cut it, no matter how big that television is. 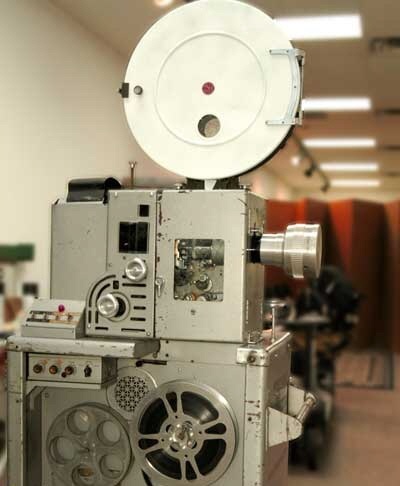 You need to have a video projector in order to rival the experience we get with 16mm. The quality of the video projectors that are on the market now is phenomenal. The Panasonic series especially. I'm not totally giving up on 16mm though. I'm keeping many of my IB Technicolor prints. My dye transfer prints of SINGIN' IN THE RAIN and THE RED SHOES still look richer and more colorful to my eye than the very well-made Blu-rays. But I have to say that the new Blu of THE WIZARD OF OZ, does beat the Tech 16's and I've seen three different prints of late. Also, I'm holding onto my rare 16mm silents and shorts. The printdowns from the camera negatives I have on many Laurel and Hardy, Our Gang and Charley Chase comedies look better than anything I've seen on DVD. I recently ran my mid-1940's printing of L&H's short comedy OUR WIFE and it is miles ahead of the version on the Laurel and Hardy Essentials Collection DVD set that came out a year or two back. But, for the most part, it's amazing how even a DVD-R from Warner Archive can look projected onto a 10' screen. They released the James Cagney pre-code HARD TO HANDLE recently and I compared it to my 16mm original and the DVD won. I never thought I'd sell my print of that one, but I did. Yes there are some DVD's and Blu-rays that aren't well produced, that will not make you forget that you're watching video. But it's amazing how great many of them do look and for the first time the collector has finally been given a viable alternative to collecting 16mm film. I know what you mean about prints having a history and a personality. Back in the 80s and 90s when I did some collecting of 16mm, I recall the only print I could find of "Citizen Kane" having a splicy opening, rendering Kane's search for something lost as "RoseBURB". Or the 16mm print of "Rashomon" that I was expecting to be in Japanese with subtitles, but was dubbed in English with original RKO title cards, giving me a glimpse at how the film was originally shown here. Or the 16mm print of "Golddigers of 1933" that reproduced the original film leader on reel 1 showing countdowns for both the sound-on-film and Vitaphone disc version of the movie. There was nothing like seeing a mint condition IB Tech 16mm print of some favorites - "Seventh Voyage of Sinbad" or "5,000 Fingers of Dr. T". The thing I miss about 16mm was how watching a movie with friends was an event. Seeing an image blown up on a ten foot screen was something you couldn't really do with VHS or even laserdisc. Now, an inexpensive hi-def projector and blu-ray looks much better than anything we were excited about a couple of decades ago. In the mall a few days ago saw a tiny video projector, about the size of an iPhone and designed to play video off the same. Day is coming when a film geek can carry a virtual home theater in his pocket, complete with a library of movies. The downside: Bowery Boys suddenly appearing on the wall of an intimate restaurant. Or guys in Starbucks taking up tables for little screens and speakers. Film is the most intimate and romantic of media, whether it is film as film or film as DVD. It has the power to open the heart, whether the image is projected on a screen in a darkened theater or was first discovered on a television set. Your wonderful article concerns a time when the collector negotiated that tenuous world between the theater and the television, when each film found--that is, film on reels of celluloid--was a step towards an elusive grail, the film as it was meant to be seen. During the 1950s, with the release of the studio backlogs to television, millions of people, children especially, were exposed to some of the finest and some of the worst films ever made. There were entertainment alternatives, even on television, but they were relatively limited, thus weighting the attention given to these films. Here then was the audience which fell in love with the film medium and from which a subculture arose, studying films for the first time as an important aspect of art. Even so, those who would actually go to the trouble of collecting the films themselves were few in number. 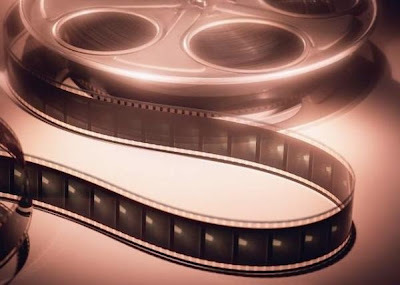 The rarity of films outside the studios or exchanges or television stations, and the applicability of copyright and licensing laws, meant that even possessing a film might be something illegal. The process involved in showing one, with the need for projectors, screens, amplifiers, and sound systems, was another arcane art in itself. All of this meant that a collector had to be dedicated to his work or even obsessed with it. Of course, the sort of personalities which could be so dedicated, at the expense of normal jobs or careers, families or ordinary social relationships, meant that this group early on acquired a somewhat unsavory reputation. For those who loved films as much as they did, however, they were the gatekeepers and alchemists who made possible the revelations that many of the comments published here still celebrate. We do live in an age of wonders, when the DVD revolution has allowed the exhibition of films an earlier generation could not imagine even existing. No doubt some aspect of the quest has been lost when films have become so much more accessible. The true romance of film, however, always takes place within, when the image merges with the imagination and unlocks the heart and mind. 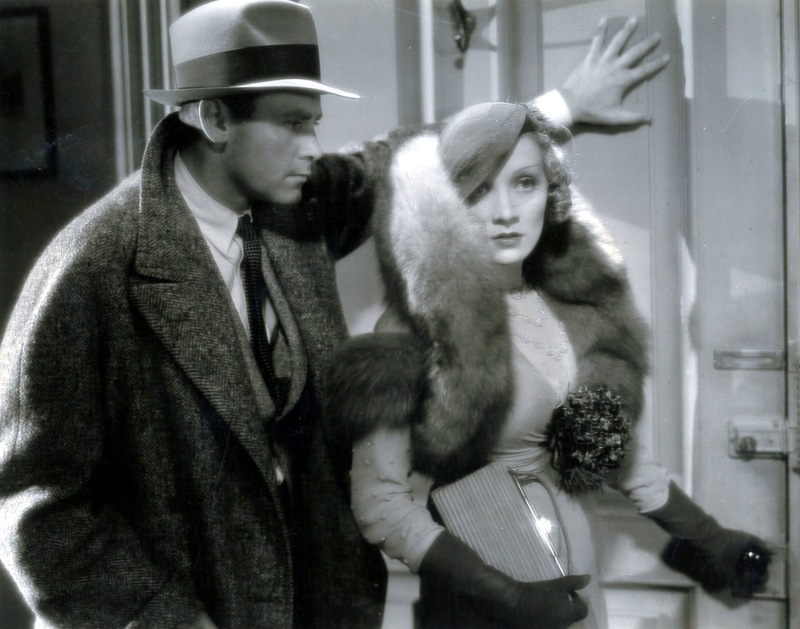 What remains elusive, then as now, is the particular film which serves as the key, whether it be found on a DVD, a 16 mm print, or something seen online. As with all matters of art, this remains within the eye of the beholder. Dan Mercer's astute observations about those torchbearers among us who have preserved film history with an almost religious fervor are pure-T poetry.